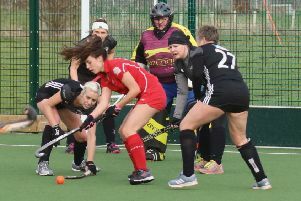 A poor run of form and a game against a quality opponent saw them finish 2018 with an 8-1 defeat at Durham University. Despite a strong opening 15 mins for Preston it was Durham who opened their scoring account with a well worked finish from close range. Durham capitalised on their well practiced penalty corner routines scoring six of their eight corners. Preston managed a late consolation through Steve Masterson. Elsewhere, the men’s 2nds maintained their unbeaten status against Alderley Edge. Despite being 2-0 down after 10 minutes, they rallied to win 4-2, goals from Nick Jeffs, Gabriel Benatar and a goal apiece for the Robinson twins. The men’s 3rds lost 2-1 at Wilmslow, with Richard McGee netting for Preston. The club’s 4ts battled to a 4-3 win against Horwich, Phil Bowman (2) and Cai Smith (2) with the goals. Preston men’s 5thsbeat Lytham 2-0, Neil Lawrence scoring twice, and the 6ths lost 4-1 away to Wigan. Buoyed by their first point of the season last weekend the Ladies 1sts followed this up with another, drawing 1-1 with Leyland and Chorley. Leyland took the lea but Preston equalised immediately through Emma Wilson, her first goal for Preston. 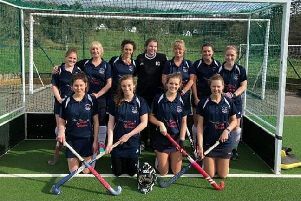 Elsewhere, the ladies’ 2nds lost 3-0 to Lancaster. Preston’s Under-12s faced Neston and two goals from Oliver Wilcock and one from Josh Blackburn saw them run out 3-0 winners. It was a great team performance, especially from debutant goalkeeper Poppy Chester and player of the match Daniel Boorne. Preston’s Under-13s won 2-0 at Bowden with goals from Luke Hope and Zara Grimshaw – her fifth in five games – helped by stout defending from Ben Heaton and Jaime Ashworth. It was a fine performance with excellent attacking play from Eddy Nash, Amber Sinclair and Olivia Aberra.